Watson-North Funeral Home is honored to be of service and ministry to the family of Floydaline Cole Limbaugh. Mrs. Limbaugh passed from this earthly life September 7, 2018 at Rockgate Seniors Residence in Cowan. She was a lifelong resident of Franklin County and a long-time member of the Bethel United Methodist Church. She retired from Shaw Industries where she worked for many years. She was a dedicated friend and supporter of the Franklin County Library and a member of the Franklin County Historical Society. She was a very talented musician having given piano lessons to many children and in several of the schools in Franklin County. 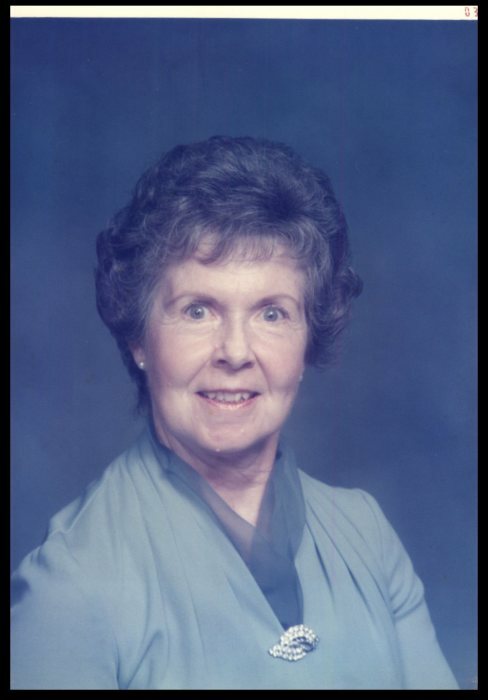 She also served as church pianist in several Methodist churches. She was a travel enthusiast, having taken several bus trips and tours across the country. She was an animal lover and had many pets throughout her life. In her spare time and in her retirement years she found much joy and took great pride in her flower gardens. Mrs. Limbaugh is preceded in death by her husband, Walker Limbaugh; mother, Leola Counts Cole and her father, Floyd C. Cole; special aunt and namesake, Aliene Cole and special uncle, Alton Cole. She is survived by cousins and caregivers, Kenneth (Linda) Green and Ronnie (Linda) Green of Winchester, also other numerous cousins and extended family and her Rockgate Assisted Living family. A Celebration of Life serviced will be conducted Thursday September 13, 2018 at 7 p.m. at Watson-North Funeral Home with Johnny Hand officiating. For those who so desire the family requests memorial contributions to Animal Harbor, 56 Nor-Nam Rd. Winchester, TN 37398. Online condolences may be sent to www.watsonnorth.com.